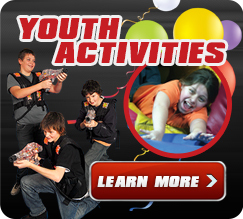 Have your child's next birthday party at Sports Connection's bowling lanes in Ballantyne. You provide the kids... We'll provide the fun! Bowling Parties are assigned one lane per 4-5 party participants and can bowl as many times as available during the allotted party time for this attraction. Bowling shoes are included, but not required to be worn. Any person bowling, will be counted as a party participant. Parties choosing to only bowl for 30 minutes will most likely not complete a full 10 frame game.